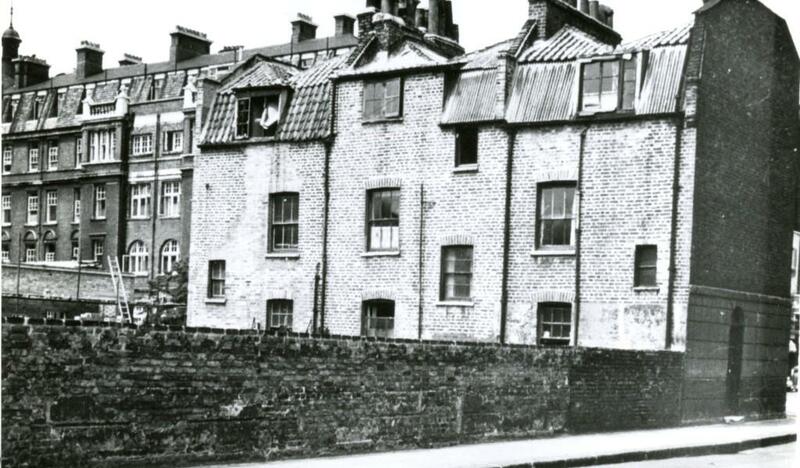 This week’s post started as a straight borrowing of one of Bill Figg’s book ideas, left behind in a loose leaf folder of photographs showing the same location at different times. We did the same sort of thing on our Virtual Museum project a few years ago. It’s a durable idea and worth repeating. Of course the complication is that Figg’s “now” is the early 1990s. So really it’s “then and then”. But I can live with that if you can. Figg refers to this as the Crooked Usage entrance. It’s not certain that he took many of the “then” pictures, which accounts for the relatively poor quality of some of them. Photographs of photographs basically. 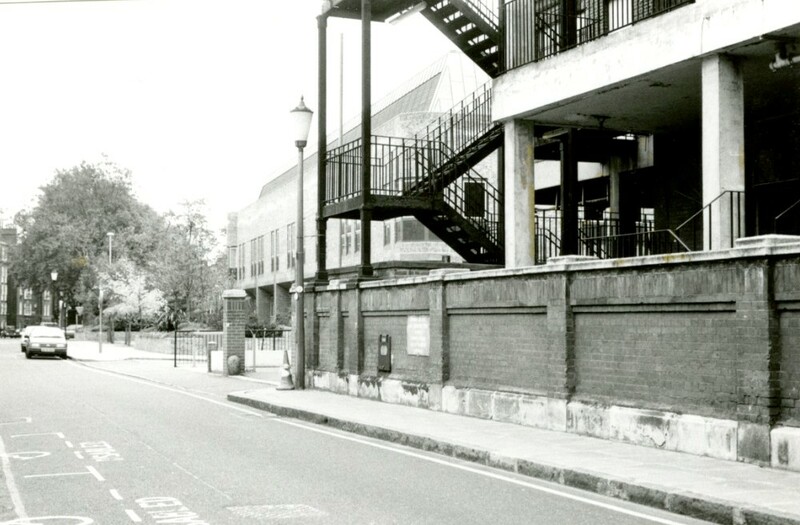 His modern picture, taken in 1993, is not perfectly aligned because the fire escape you see in the middle is part of the former Chelsea Women’s Hospital, which is still there today, but that’s the point of “now” pictures. But there’s a problem, isn’t there? As the Antiquary notes in 1907: “How this singularly inappropriate name came to be assigned to this street must ever remain a mystery and can only be regarded as the outcome of purely poetic fancy, untrammeled by any regard for prosaic fact. It runs in as straight a line as any tie-square could make it and , except by a stray cat or two, appears to be entirely unused. There do not appear to be any house in it, and the London directory knows it not.” Or to put it another way, Crooked Usage is more or less straight and not really crooked. And it does look to me as though there were some houses. Look at this further detail. Crooked Usage is no longer on the map. But here it is today. 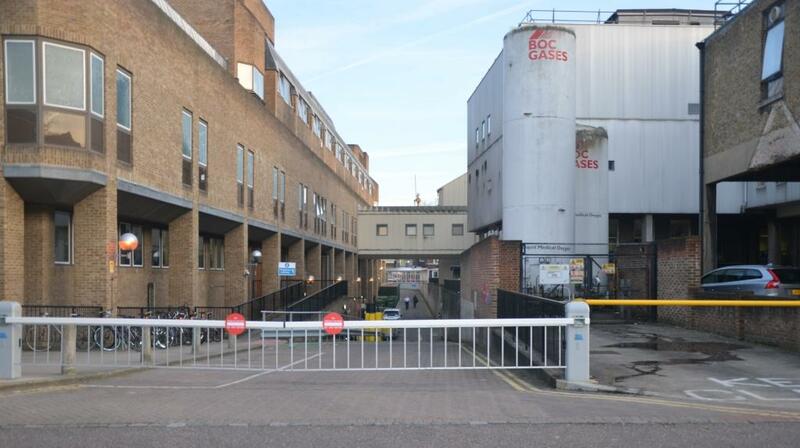 It’s either the access road going down between the two hospital buildings, (the Royal Brompton and the former Chelsea Hospital for Women) or the driveway in front of the BOC tanks. It must have survived for some time though. 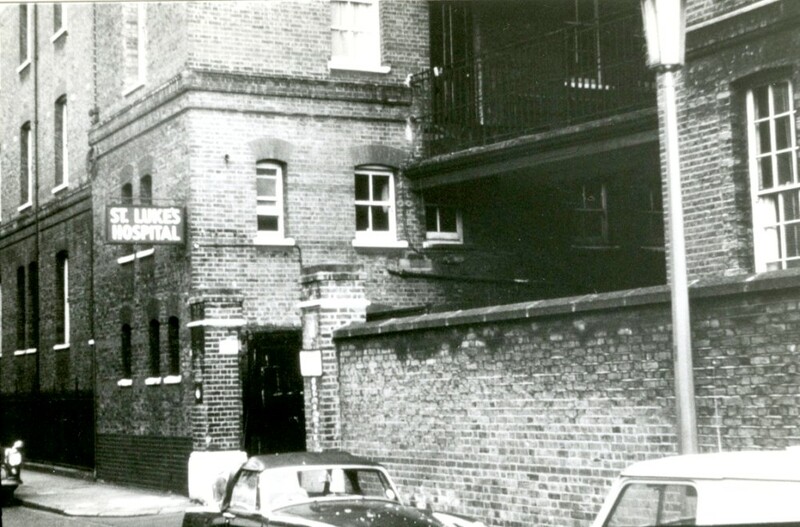 St Luke’s Infirmary and Chelsea Women’s co-existed as separate institutions for many years. 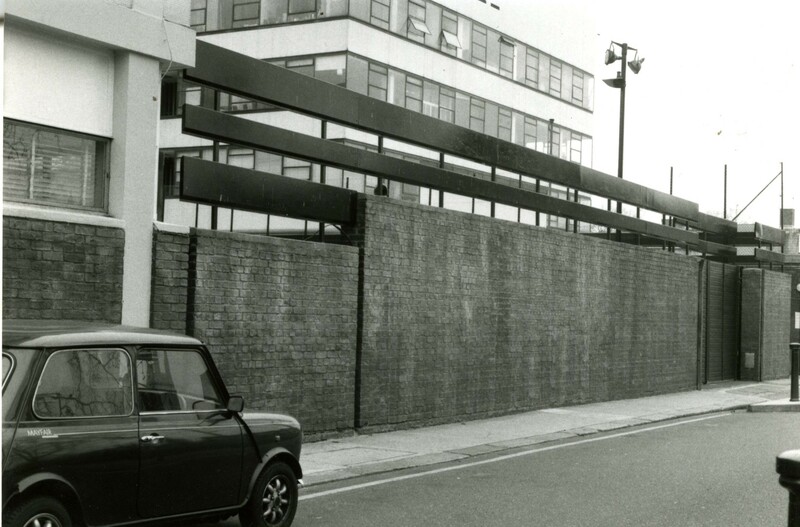 We must now follow Cale Street to another odd feature of Chelsea history. 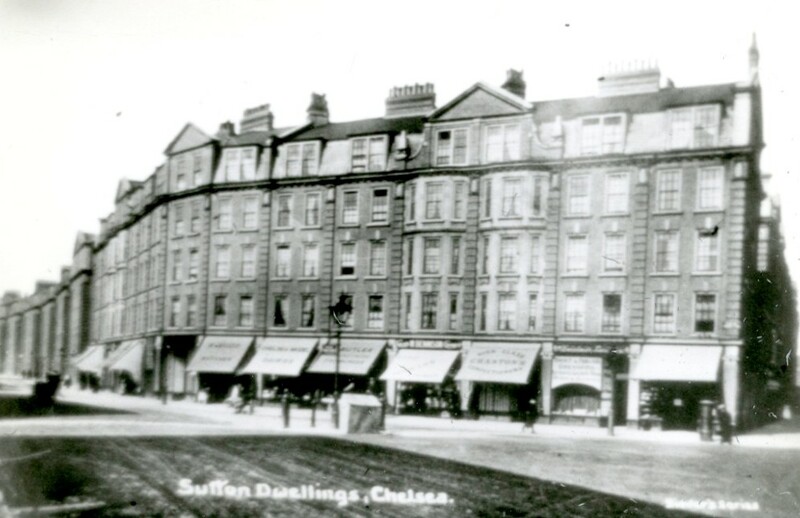 This postcard is captioned Sutton Dwellings but what Figg wanted to show was the area known as Chelsea Common with, as he says in his notes, “not a blade of grass” visible. Famously, one eccentric resident, sadly no longer with us, announced her intention of buying a goat to graze on the common, as was her right. Although even at the time there wouldn’t have been much room. Although it must be admitted it’s a much nicer spot these days. It has also been called Chelsea Green in its day but that is also quite an ambitious name. Still on the common, we turn back to Dovehouse Street. This picture, according to Figg, is from 1950. 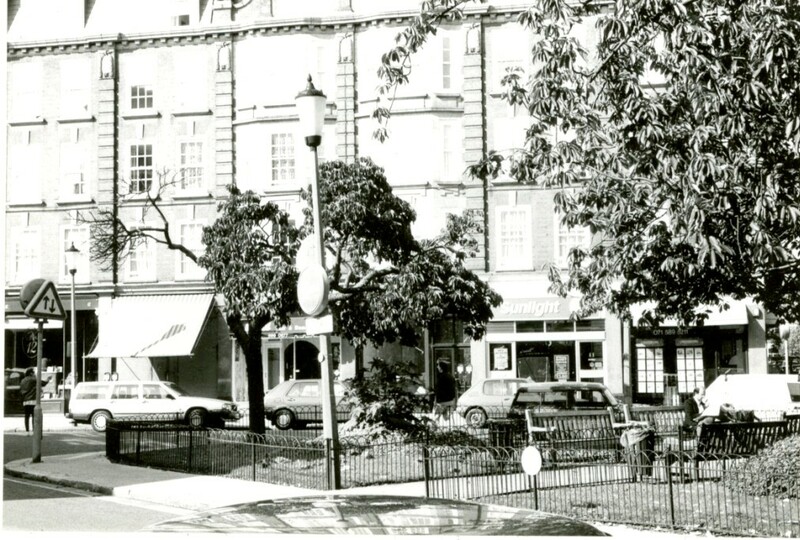 It’s hard to recognise now, but this is the junction of Dovehouse Street with South Parade and the taller buildings in the background still form part of the rear of the old Brompton Hospital. This more modern view makes it clearer. The west side of Dovehouse Street has been almost completely redeveloped. 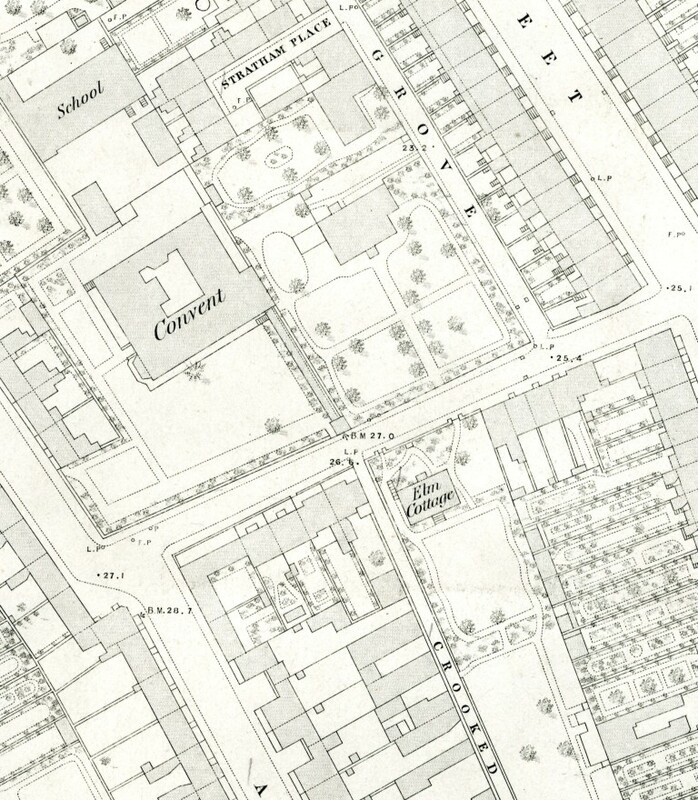 E J Magrie and Sons, General Smiths, was located near the King’s Road end. A 1990s view shows part of the fire station and the 1960s building next to it. 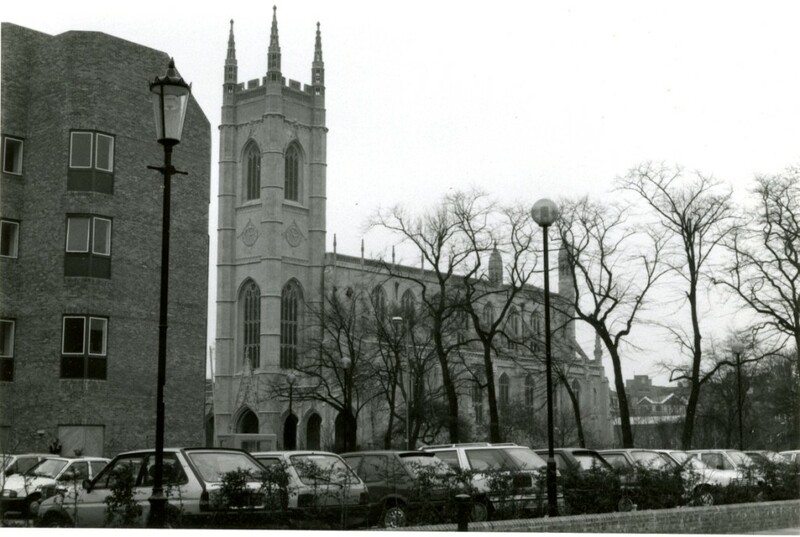 Below, from this point Figg was able to take a picture across the car park hospital, showing one section of the new building and the elegant tower of St Luke’s Church beyond it. He couldn’t quite find the right spot to match this earlier picture. An overgrown garden or patch of waste ground waiting for its future role. 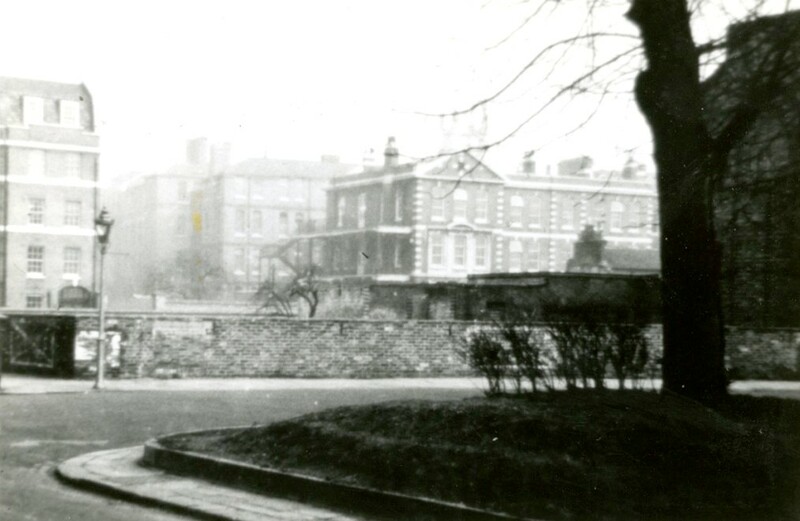 This is a view from South Parade some time after WW2 showing an open space, looking across at Chelsea Women’s. The raised garden area in the foreground must have been mostly paved over to make the stepped feature so familiar today to local residents. To complete this part of Figg’s job, I went down there to try and take a matching photograph. Could that be the same tree? Possibly. That’s my shopping in the foreground by the way, and I’m standing close to the top of Chelsea Square. My son pointed out to me that the garden portion of the square is also now known as Chelsea Common. Chelsea seems to be prone to this sort of thing. 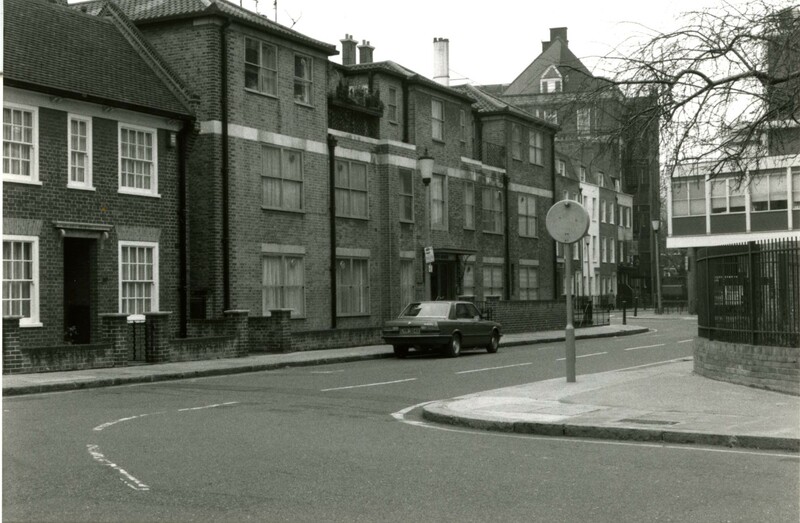 Chelsea Cross, Chelsea Triangle (in which land vehicles disappear?). Perhaps the Chelsea Pentagram will be next. There will be more then and now courtesy of Mr Figg in the near future. (We haven’t even finished with Dovehouse Street) In the course of my walk I also spotted one of his Hidden Chelsea / building details which may also form the basis of a future post. None of my musical or literary heroes heroes have died this week so let’s spare a thought for Sudan,the last male northern white rhino, the so called gentle giant. Survived by his daughter and grand-daughter. He was born in Africa, lived part of his life in a European zoo but eventually returned to his homeland and died in Kenya this week. His frozen seed may one day revive his species. 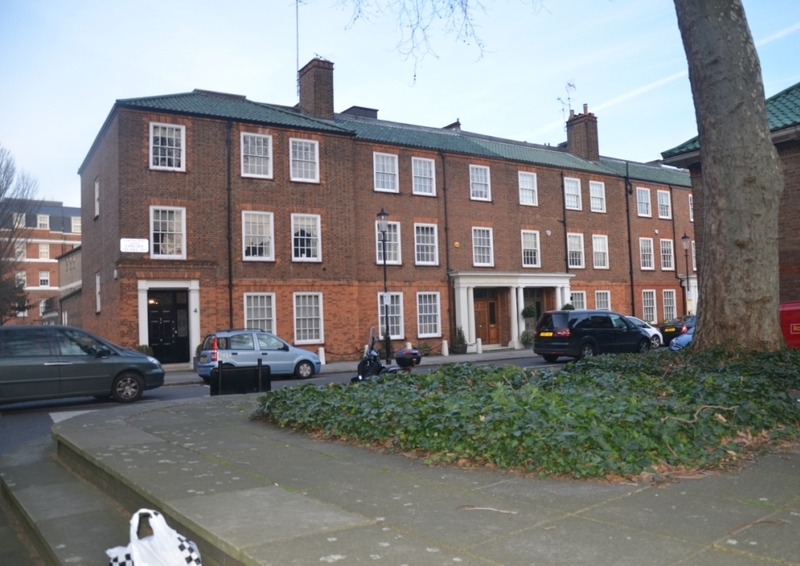 This entry was posted on Thursday, March 22nd, 2018 at 11:57 am	and tagged with Cale Street, Chelsea Common, Crooked Usage, Dovehouse Street and posted in 19th Century, 20th Century, Chelsea. You can follow any responses to this entry through the RSS 2.0 feed. Yes – much more crooked, with the additional advantage that it still exists. 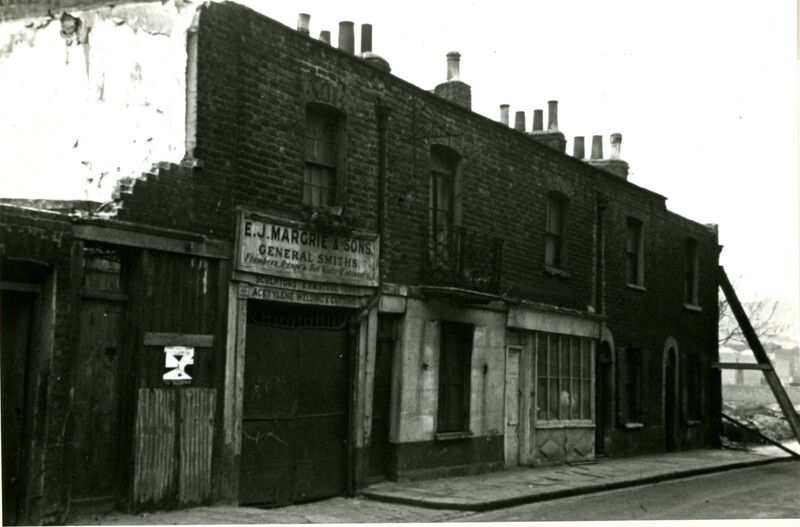 If it hadn’t been erased by histor, the Chelsea CR would probably have been renamed, like the Chelsea Trafalgar Square and the Chelsea Bond Street, also in this neighbourhood. 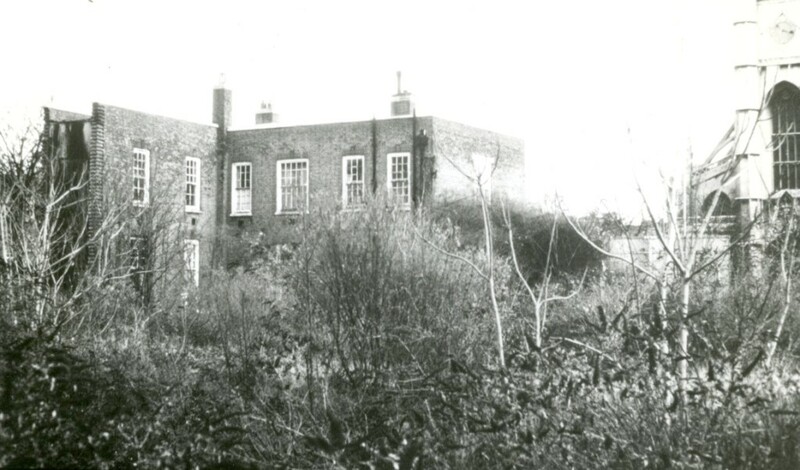 There were houses in Crooked Usage – when my great aunt Edith Ellen Dearman (later Newman) was baptised in 1895 the family was living at 2 Crooked Usage. 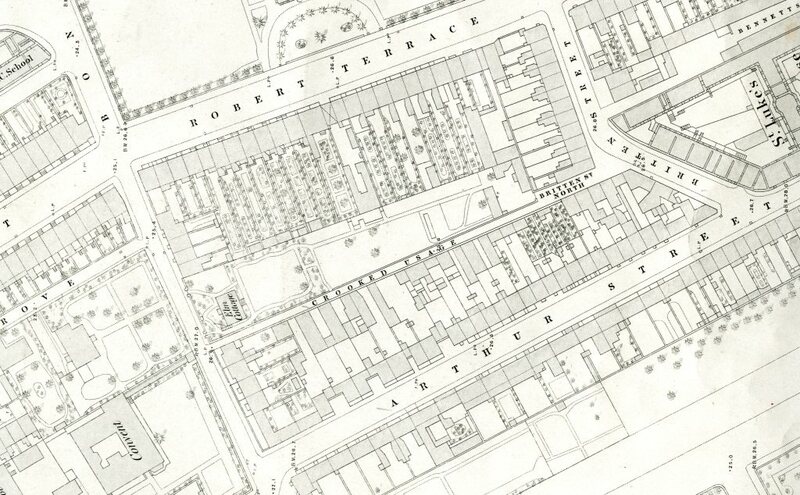 I believe the road was formally closed and demolished in the early 1900s to allow expansion of the hospital(s).